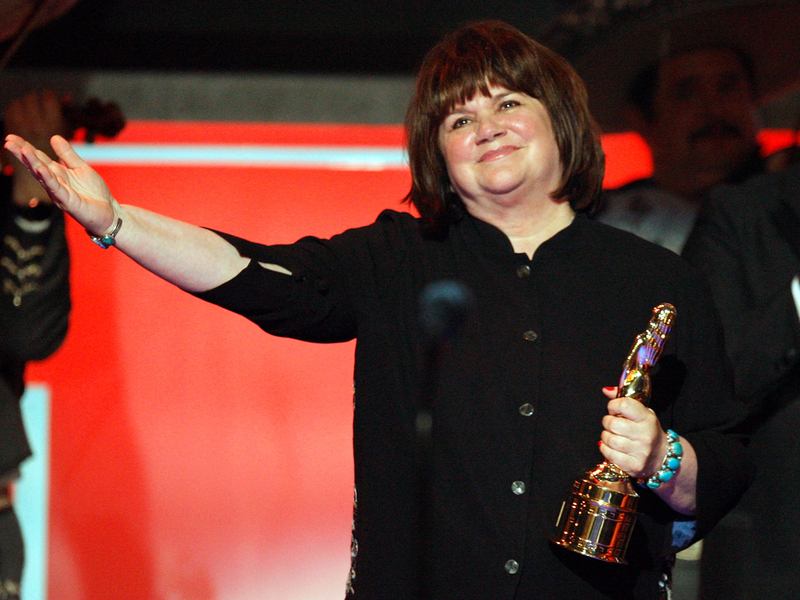 Rock and pop superstar of the 70s Linda Ronstadt says Parkinson's disease has robbed her of her ability to sing. Although Parkinson's is better known for causing tremors and trouble with movement, the disease frequently affects a person's voice as well, doctors say. The 67-year-old singer, who is known for such hits as "You're No Good," "Blue Bayou" and "Don't Know Much," told AARP The Magazine last Friday that she hadn't suspected she had the neurological disease for as many as eight years despite having a variety of symptoms, which she mistakenly attributed to other causes. Then she lost her ability to sing. "And I couldn't figure out why," she told AARP. "I knew it was mechanical. I knew it had to do with the muscles, but I thought it might have also had something to do with the tick disease that I had. And it didn't occur to me to go to a neurologist... Then I had a shoulder operation, so I thought that's why my hands were trembling." Up to 60,000 Americans are diagnosed with Parkinson's disease each year, according to the National Parkinson's Foundation, on top of the one million who currently have the condition. Parkinson's disease as a degenerative neurological condition caused by the loss of brain cells that produce the neurotransmitter dopamine, which is essential for motor control and other important brain functions. The average age of diagnosis is around 60, and the disease worsens over time to the point where it can cause significant disability. Parkinson's-related complications make up the fourteenth leading cause of death in the United States. Common symptoms -- which typically begin between ages 50 and 60 -- include tremors or shaking, stiff muscles, slow movements, difficulty walking, and loss of control of facial movements and throat muscles, WebMD reports. Ronstadt told AARP that no one can sing with Parkinson's, "no matter how hard you try." Parkinson's disease does indeed commonly affect a person's voice, explained Dr. Andrew Feigin, a professor of neurology and physician at the Movement Disorders Center at North Shore-LIJ's Cushing Neuroscience Institute in Manhasset, N.Y., in an interview with CBSNews.com. Most often, a person may hear their voice drop in volume due to decreased size of movements in the vocal cords, a condition called hypophonia, explained Feigin, who has no involvement in Ronstadt's care. "It's essentially a Parkinsonian symptom," he said, and added that people with the disease may also develop a raspy, airy voice due to vocal cord problems. Ronstadt was not aware her symptoms were signs of Parkinson's, according to her interview, and Feigin says it's typical for some people eventually diagnosed with the disease to not be aware their symptoms are due to the brain disorder. "Its insidious in onset," he said. "It's quite possible that someone has signs of the disease before it rises to the level where they think there's something wrong here." Someless-obvious symptoms of Parkinson'sthat may occur before motor symptoms include loss of sense of smell, constipation, depression or behavior indicative of an REM sleep disorder in which people may act out their dreams. Feigin urges people experiencing problems like loss of facial expression, changes in handwriting, problems with balance or obvious tremors to see a doctor. Prognosis may vary, due to the unpredictable nature of the disease, but medications can reduce tremors or improve coordination. One thing that is lacking in Parkinson's treatment, however, is a drug that can prevent the disease from worsening. "That's really an unfilled need," said Feigin. Parkinson's "progresses over years, not days or months." Ronstadt told AARP she now uses poles to help her walk and a wheelchair when traveling. She is planning to release a memoir in September. The book does not address her diagnosis, according to the magazine.